One of the probably less-than-welcome proofs that pharmacists, student pharmacists, and pharmacy technicians are indeed healthcare providers in the eyes of the law and patients is that each pharmacy practitioner can be sued for malpractice. Making a case against a pharmacist or pharmacy employee for malpractice following a medication error requires a plaintiff and his or her attorney to show that the patient suffered direct harm due to negligence or willful malfeasance by the person named as a defendant. Having adequate individual professional liability insurance—the proper term for malpractice coverage—can protect a pharmacist, student or technician from financial, professional and, sometimes, personal ruin when such a case is brought. Determining exactly what type of malpractice insurance you need to carry requires sitting down with an agent who specializes in issuing professional liability policies to members of the pharmacy profession. Reading this brief overview should help you participate knowledgeably in that discussion. Pharmacy malpractice generally involves dispensing the wrong drug to the wrong patient or in the wrong dose. For instance, a pharmacy practitioner could potentially face a civil lawsuit if a patient received Inderal (propranolol from Akrimax) instead of the Adderall (amphetamines from Shire) prescribed and suffered a serious adverse reaction to the wrong drug. In a "Pharmacy Law Lesson" posted to the American Bar Association website, though, lawyer and pharmacy school professor Kim Burns noted that liability risks for pharmacists have grown along with practitioners' patient care responsibilities. "Pharmacists are increasingly facing allegations of intellectual errors involving scenarios in which the pharmacist accurately filled the prescription as prescribed but failed to detect an inappropriate dose or duration of drug therapy, perform a drug review, or counsel the patient about potential side effects," Burns wrote. Any person employed in any pharmacy who fills prescription orders dispenses medications, administers doses or counsels patients should consider carrying individual professional liability insurance. Even though state and federal laws require community pharmacies, hospitals, clinics and long-term care facilities to carry various forms and amounts of malpractice insurance, those organizational policies do not always provide full coverage for every health care practitioner at the sites. It is particularly true for contract, consultant and temporary or fill-in staff members. 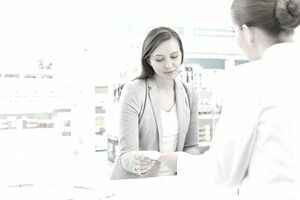 Many states require pharmacists to show proof of professional liability coverage when applying for a license to practice pharmacy. A pharmacist's policy can occasionally include limited malpractice coverage for interns, residents fellows and pharmacy technicians working directly under the pharmacist's supervision. Despite this, student pharmacists whose rotational and postgraduate assignments involve high levels of hands-on patient care should have their liability insurance. The professional liability coverage students get through their schools and under the policies of their practice sites may not apply to advanced patient care. Likewise, pharmacy technicians in pharmacies that prepare and dispense many compounded or narrow-therapeutic index drugs such as clonidine (e.g., Catapres from Boehringer Ingelheim) or warfarin (e.g., Coumadin from Bristol-Myers Squibb) can protect themselves by getting individually insured against malpractice. Pharmacy practitioners who decide they need or want to carry individual professional liability insurance have two primary options endorsed by leading professional pharmacy associations. The American Pharmacists Association recommends getting pharmacy malpractice insurance from the Healthcare Providers Service Organization. The American Society of Health-System Pharmacists sponsors its range of insurance products, including professional liability coverage for students and pharmacists administered by private insurer Marsh Consumer.